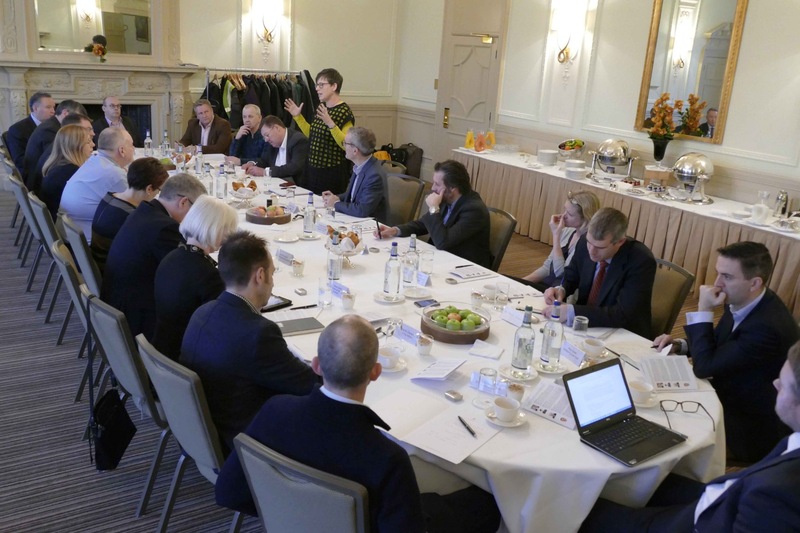 The second in the series of articles and podcasts with BRE: roundtable and interviews with planners, architects, policy-makers and construction experts. Find the first discussion here. Across the UK there is a widespread scepticism – even disillusion – about our built environment sector. We know that we simply are not building enough new homes either in the public or private sector. Middle-income young adults born in the late 1980s are now no more likely than those lower down the pay scale to own their own home. Many buildings are not being built “to purpose” and many more are not performing as designed. We are also seeing a real lack of power of local government in housing and there’s simply not enough resource and investment in regulation and standards. The way we create our buildings has hardly changed in 40 years. It’s in need of a drastic overhaul if it is to achieve the same increases in productivity as other industries. “We need to transform the sector to build affordable places to live and work that are safer, healthier and more energy efficient. Through this challenge, we will create new processes and techniques, including the standardisation of modular components for manufacture. Doing so will support the industry to construct buildings 50% faster, 33% cheaper and with half of the lifetime carbon emissions”. These are ambitious targets when one considers the sector has been held back by productivity that is historically an average of 21% below the wider economy since 1997. There’s a lot to do. We might agree we need to go beyond faster and cheaper construction to delivering greater value across the whole lifecycle together with better health, social and environmental outcomes – but what does this look like in practice? How can Scotland learn, adapt and grow from significant initiatives which are happening across the UK and beyond? Digital construction could provide some of the answers but challenges still lie ahead on talent, dispersed data collection and analysis, and standardisation. 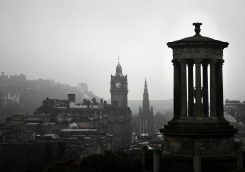 The location for the second of BRE’s ‘What Kind of Britain Are We Building?’ roundtable discussions was Edinburgh, where we convened 21 experts under the Chatham House rule from the built environment sector to debate these issues. 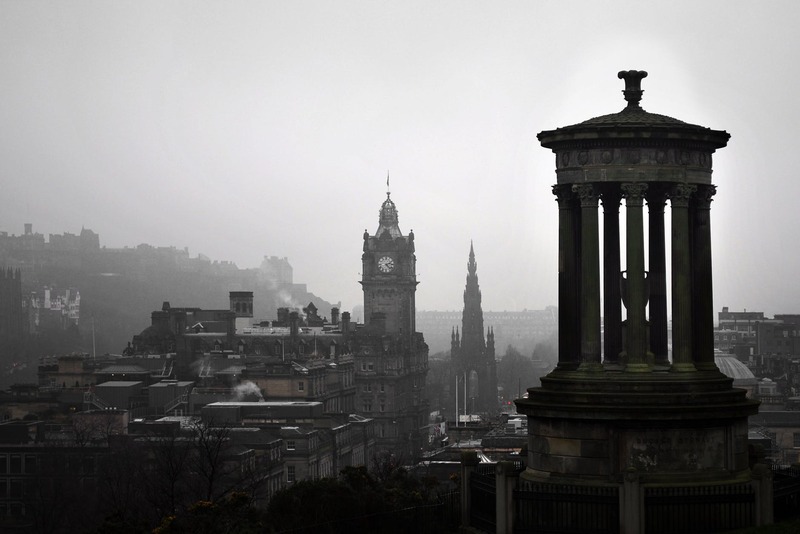 The timing proved highly appropriate as earlier in the week the Scottish parliament announced an inquiry into the country’s construction sector with specific focus on the procurement model, access to finance, skills, innovation and infrastructure investment. The session was conducted under The Chatham House Rule and opened by Niall Trafford, the CEO of BRE. “BRE is soon to be 100 years old. But our purpose and mission – while clear to us – isn’t always clear to the world. Our mission is simply to build a better world together. “Our aim with these roundtables is to go out around the country and listen maybe to those we don’t normally interact with. To get out of the London bubble in order to understand and learn more in order to make BRE fit and relevant for the future. We need to place ourselves at the heart of construction to have the proper impact. We need to drive innovation. That’s why we’ve signed up to the Industry Strategy Challenge Fund programme and the Construction Innovation Hub with the Manufacturing Technology Centre (MTC) and the University of Cambridge’s Centre for Digital Built Britain (CDBB). This will combine expertise in digital, manufacturing and construction technology, as well as a track record in supporting policy development and industry change. We need a transformation of construction but it won’t be easy. ISCF brings opportunity for greater quality and consistency around what gets built. That is why BRE has developed the Home Quality Mark. It is inconsistency that leads us to this debate. Our industry is too fragmented. ISCF must focus us on consistency, digital and skills. The opening provocations were both from women, who are traditionally under-represented in this sector. Nicola Barclay is chief executive of Homes For Scotland and Rohan Bush, head of public partnerships and Future Workforce at the Construction Scotland Innovation centre. Just the day before the roundtable Nicola had been called to defend her industry in the face of a highly critical story picked up by the BBC under the headline Huge Shortfall in Home Construction. “The home building industry is, for multiple reasons, backed into a corner” said Nicola, “And we find ourselves having to defend ourselves the whole time from commentators in the media who say we’re not delivering what the general population want. Since the recession there are 80,000 fewer houses built than there should have been. It’s all types of need. We should be building 25,000 a year of all tenures but are only building 17, 000 or 18,000 last year. England is on an upward trajectory to where Westminster wants them to be. “It’s not just a London bubble. We need to get out of the Edinburgh bubble and appreciate that 50 miles that way or 100 miles the other, there are huge failings in housing. There is market failure everywhere in Scotland with many who cannot get on the housing ladder. But we have to be really careful that there is not a one-size-fits-all approach. “There’s a different cultural and political response to the housing crisis here. I think the desire is lacking for home building including from residents, councils and planning officers. We don’t have an accepted need for more houses at the local level, even if it exists at the national level. We need political support. The needs of fragile and isolated rural communities are especially pressing in Scotland. Development units in the Outer Hebrides are being built that only have a value that’s one quarter of their build cost. “But without homes, people don’t want to live there, and without people the communities will die,” said one panel member. “We need to encourage home working for which we need decent homes. Intervention through the public sector and the potential creation of some sort of Housing Corporation was mentioned by several participants. (It’s interesting to speculate whether the central, directional control implied by a Housing Corporation would lead to greater uniformity of quality. This is a subject dealt with by Stephen Hill of C20 FuturePlanners in BRE’s first roundtable from last Summer.) But would it be a vote winner and could the government afford it? There was a broad acceptance that Scotland needs to think of new models of tenure, and the journey to ownership. more attractive to potential new entrants to the sector. “The industry tends to plan for what it knows rather than what it doesn’t know”, he said. “Within the sector we study trends and influences, but we should always look a little wider to see how others have successfully overcome similar challenges. Our outlook also appears to be ‘hard-wired’ from that of our parents’ generation – we’ve now had three generations of aspirational ownership, which may no longer be relevant in our society. Our millennials are different; they operate within a more flexible gig economy with lifestyle choices, mobility and attitudes towards disposable income that are different than previous generations. Their material values are different. Whilst everyone requires a home for our basic needs, there is a growing dilemma on whether you need to actually own the property. It is clear that ownership models need to continually adapt and evolve, to remain relevant in the future”. At the end of two hours there was an impassioned finish from Tony Cain, policy manager at ALACHO (Association of Local Authority Chief Housing Officers): “We have spoken a lot about a broken housing market. But what does fixed look like? 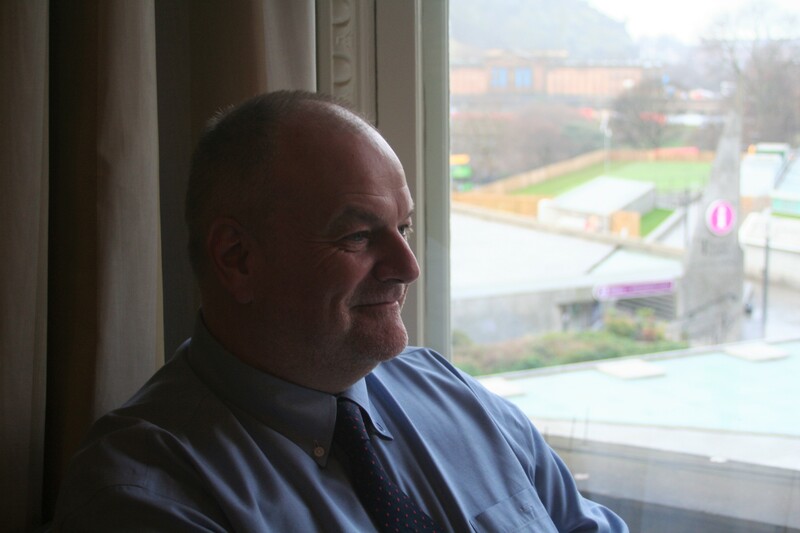 What is the purpose of Scottish government policy in housing? What are we trying to achieve? I’m not having a special go at this government. But I haven’t seen a government in thirty years that has a clear, effective vision of a proper housing system. But here the Right to Housing is to be written into legislation. It’s to be a Human Right. Interesting. This has sharp implications for policy. You would struggle to say that more than 75% of people in this country are having that human right met. And in rural areas half the population is fuel poor because of poor insulation. “The next question is how does a 30-year cycle in homes/roads fit with five-year political cycles? In housing, you cannot ignore full-life costing. 80% of the housing stock we will have in 2050 has already been built. How will this be maintained? In 1999 50% of those in social housing were pensioners and that figure is now down to one third. Over the age of 80, 75% are owner-occupiers. Over the age of 95 they are all owner-occupiers because the poor folk in social housing don’t live that long. Owner occupation will be the real challenge in the next 40 years. Research from McKinsey on Seizing opportunity in today’s construction technology ecosystem and Smart cities: Digital solutions for a more livable future. Discussion Paper from Homes for Scotland. BBC Radio 4’s In Business on off-site “Home Truths“.